Banks and credit unions that register now save $1,445.00, get a free upgrade to a Gold Pass, and pay nothing until January 2020! Includes access to all keynotes, all breakout sessions, all demos, and the exhibit hall. Also includes three breakfasts, three lunches, three hosted networking receptions, and complimentary refreshments for three days. 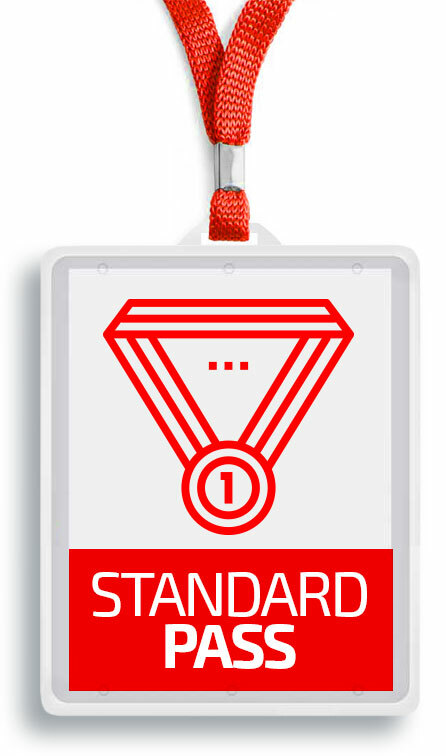 Your Gold Pass* includes everything you get with a Standard conference pass, plus you get access to video recordings of all keynote presentations and breakout sessions. 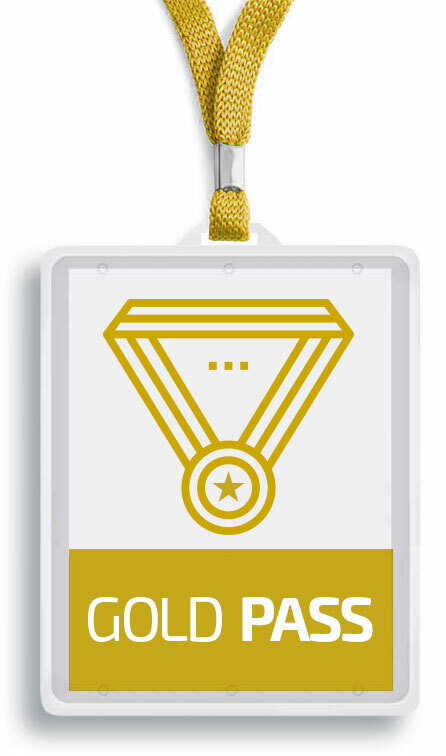 Everyone who registers before Thursday, March 19th, 2020, gets a free upgrade to a Gold Pass! Banks and credit unions must register before October 17th to get the Super Early Bird Discount. Don’t wait! Save big, get a free Gold Pass, and pay nothing until next year! Get a free Gold Pass and save $1,445.00! Register now, save big, pay nothing until January 2020. Hurry, ends soon! Past attendees save big and get a free Gold Pass! Save $1,445 and pay nothing until January 2020! Includes a complimentary Gold Pass (a $500 value)! Space is limited to the first 100 attendees in this category. Don’t wait, grab your conference pass now! * Speaker restrictions or technical difficulties during the live event may prevent a very small percentage of presentations from being included in the final compilation of videos. Cancellation Policy. If you are unable to attend, you are welcome to send a substitute. Or if you cancel in writing by February 29, 2020, you can receive a full refund. After that date, there is a $500.00 fee per registrant, provided we receive a written cancellation notice from you prior to the conference date. To cancel, please send an email to the Forum 2019 customer care center.